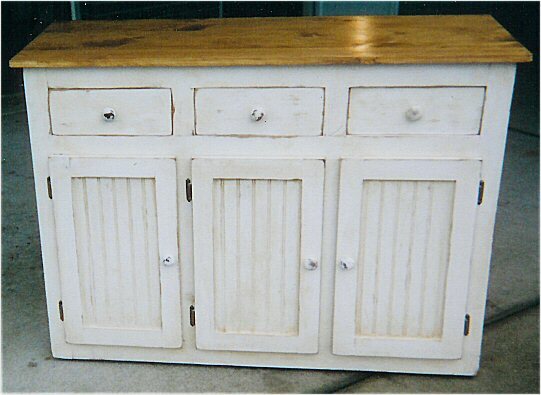 This is a great kitchen island. made from solid pine it has 3 doors on each side, 3 drawers that pull the whole way through, and wheels on the bottom so it is easily moved. Use your imagination and design your own custom made kitchen island, or let us help you with suggestions. We'll make it just the way you want it.